What happens to a paper once it is published? After the research is over, the proofs are reviewed, and the paper is out in the world, how is it used and by whom? To answer these questions, we traced the post-publication trajectory of ASHG’s position statement, “Points to Consider: Ethical, Legal, and Psychosocial Implications of Genetic Testing in Children and Adolescents.” The statement was published in The American Journal of Human Genetics (AJHG) in 2015 and was an update from two decades earlier. Following the history of the paper since its publication shows us the reach that an ASHG position statement can have over three years. Published in 2015, the statement has been cited by a variety of sources, including academic, legal, and public discourse. Since its publication, the position statement is one of the top downloaded papers in AJHG’s history, with over 5,000 downloads as of 2018. After publication, to make the content more accessible to readers, ASHG created infographics that explain the issues and intricacy around childhood genetic testing. The paper has been cited by Genetics in Medicine, Pediatrics, Blood, Nature Reviews Genetics, and more than 80 other academic titles. The statement has also been cited outside of the scientific research context. For example, it has impacted legal academic discourse. In one 2016 paper, Sénécal et al. 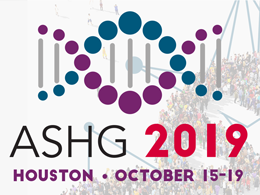 discuss the legal approaches to healthcare decisions for minors in the European Journal of Human Genetics to the ASHG position statement as a “more nuanced approach” to how genetic testing should be pursued. They praise the statement for advising that physicians should inform families of all genetic testing options, even if the family has decided not to pursue any tests. Another paper by Otero in the European Journal of Health Law uses the position statement in a narrower context, specifically to analyze European and Spanish legal frameworks. These papers are just two of several examples of how one position statement from scientists can contribute to legal analysis internationally. In addition to the academic studies discussed above, the position paper was also featured in the mainstream media. It gained coverage in NPR, VICE, and Pacific Standard. Exposure in these news sources helped engender public conversations online about the ethics of genetic testing in children. This paper shows the broad reach the ASHG community has in important societal and cultural issues of our time. As genetic testing appears more frequently in the news and becomes increasingly controversial, especially with products like direct-to-consumer genetic testing kits, it is imperative that we fully debate and consider how this could affect children and adolescents. ASHG policy statements, like the one published in 2015, provide us with long-lasting resources for continuing those discussions. Cara Cavanaugh, MSc, is a Marketing Contractor at Cell Press. She earned a BA in History of Science from Princeton University and a MSc in Science Communication from Dublin City University while on a Fulbright Award. ASHG is proud to announce our newest health professional educational program, “Prenatal cfDNA screening”. In response to rapid developments in prenatal cfDNA technology and concerns about its incorrect use, we developed this program to address a need for genetics education within the OB/GYN community, in collaboration with the Mayo Clinic and with help from colleagues from Kaiser Permanente California. A needs assessment of this group suggested that their biggest challenges were communicating the fundamentals of prenatal cfDNA screening with patients and helping patients understand screening results. Based on these findings, the new program uses a case-based focus to model patient communication and review the basic science behind cfDNA technology, as well as discuss methods for incorporating this test into clinical practice. Our content was developed and reviewed by a team of experts in the field of prenatal care. The result is a program that includes three online education modules built around pre-test and post-test patient encounters, video case presentations using a standardized patient to demonstrate the integration of cfDNA screening into clinical practice, and point-of-care educational tools. Above: Health Professional Education Programs Manager Karen Hanson describes ASHG’s genetics education programs for providers. Similar to our previous educational programming for health professionals, our goal for “Prenatal cfDNA Screening” is to improve the practice of medicine and patient outcomes. We’re hoping that this program helps health professionals improve communication with their patients regarding prenatal screening options in general and prenatal cfDNA screening specifically. To encourage participation, this program is modular, so that each part can be viewed separately at one’s own pace. In addition, it is CME accredited through the Mayo Clinic College of Medicine and Science.